Simply sign-up to the mailing list, log-in to your account and click on 'free downloads' to access the tracks. You can also purchase the tracks individually if you wish. 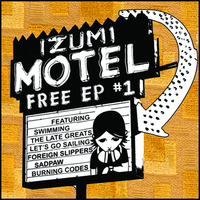 Unfortunately at this time we can't offer all the Various Artists - Izumi Motel 1 tracks as individual mp3s, as some of these tracks exceed the shops maximum (9mins) download length.